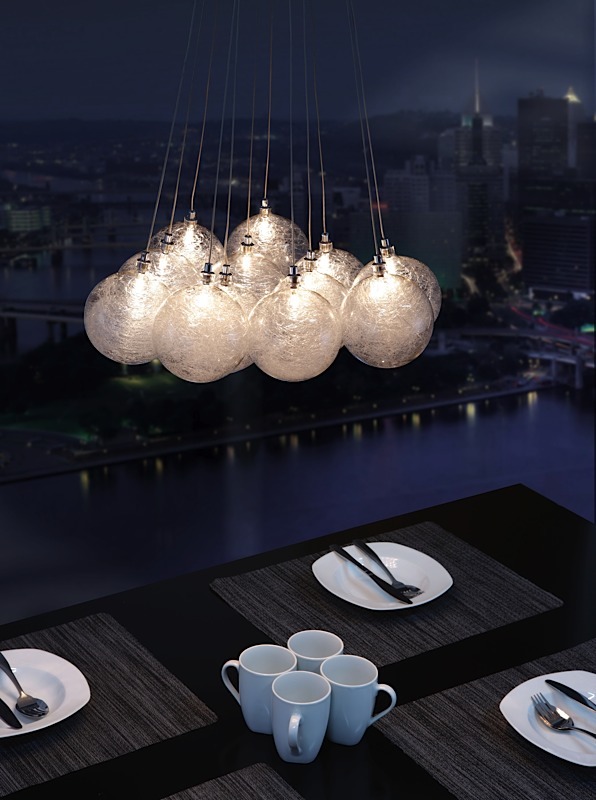 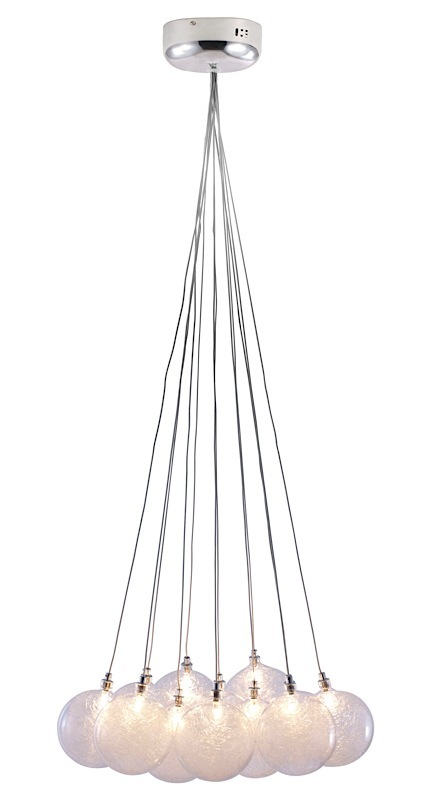 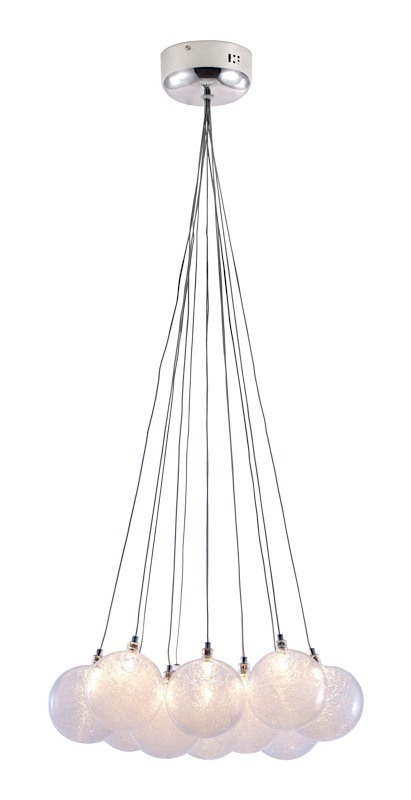 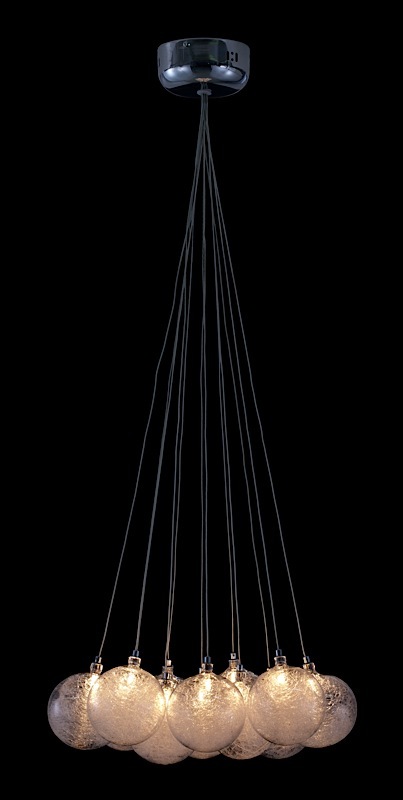 Floating in perfect unison, the Cosmos Ceiling Lamp is reminiscent of the stars moving through space. 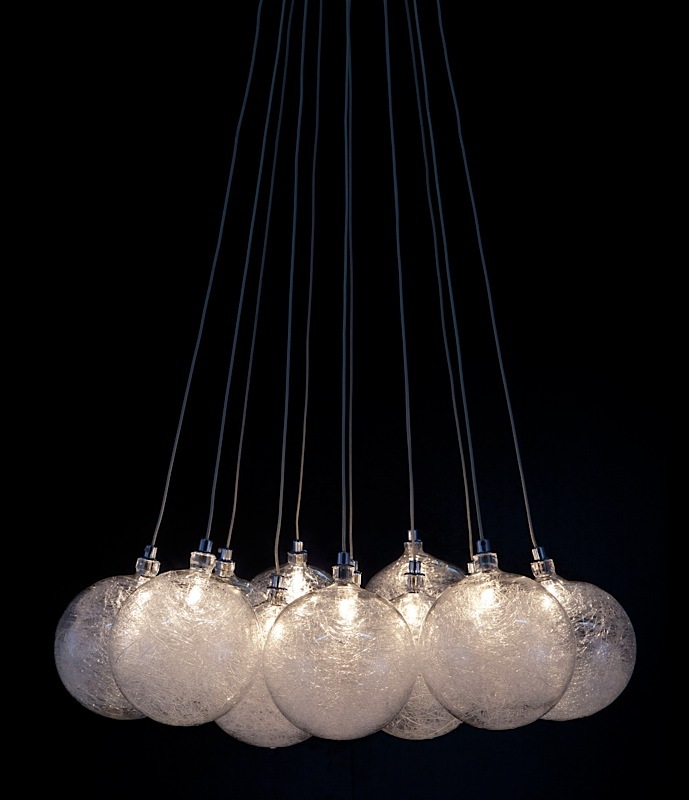 Twelve (12) pearlescent orbs each hold a ten (10) watt bulb to cast a gentle light. 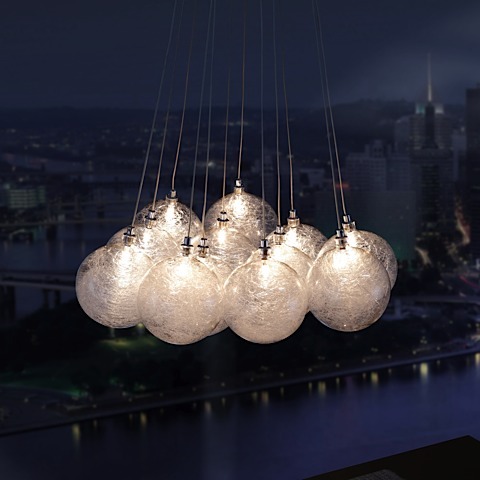 Cosmic elegance for your living room. 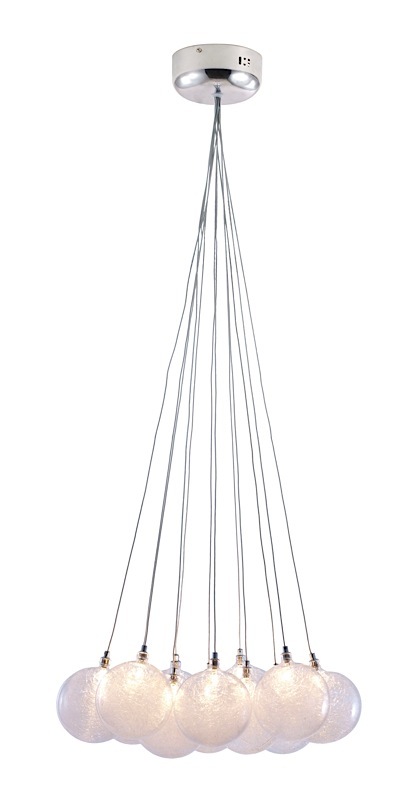 Cord length is adjustable up to 31.5". 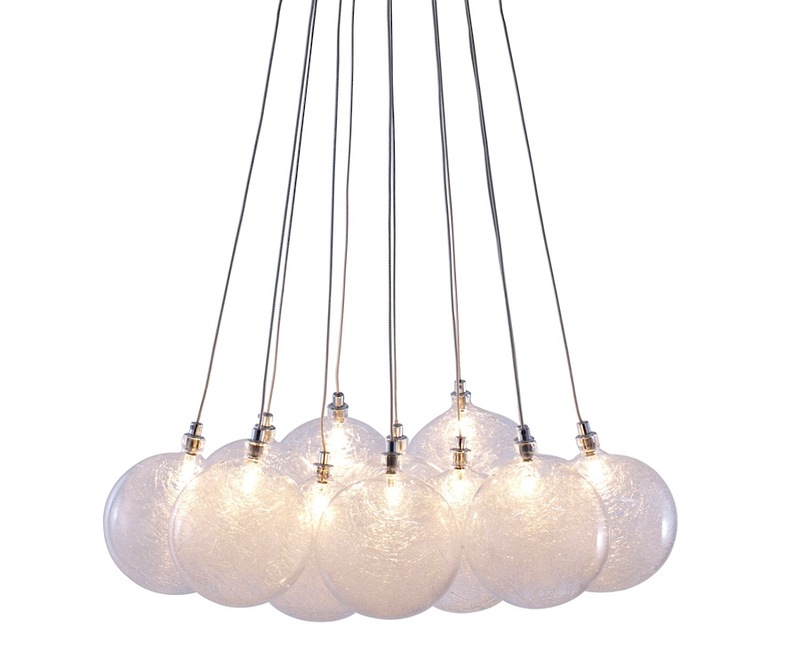 Bulbs are included.